Charlie Sheen threatened to put Ashton Kutcher in the hospital shortly after apologising to him for repeatedly bashing his performance in the CBS comedy Two and a Half Men. 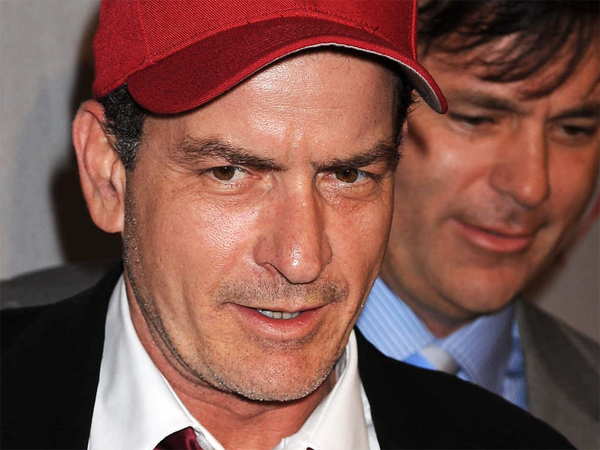 Charlie Sheen threatened to put Ashton Kutcher in the hospital shortly after apologising to him. The 48-year-old actor reached out to the Two and a Half Men star, who replaced him when Charlie was fired from the show over his erratic behaviour in 2010, after the 35-year-old star called him out for repeatedly bashing his performance in the CBS comedy on Twitter. The Anger Management star promised to stop berating his successor after Ashton blasted him during an interview on Jimmy Kimmel Live on Wednesday night, saying: "Dude, shut the f**k up! Enough already. It's three years later and you're still blowing me up on Twitter. Come on dude, really?" Charlie took to Twitter this morning to apologise for his bitter attitude. He tweeted: "Ashton, message received. so sorry, u sounded like me! well done! my bad I was pissed at other crap & took it out on you. hope u r good xox c. (sic)" But he minutes later, he added: "but news flash Dood, you ever tell me to shut the F*** up, EVER again, and I'll put you on a hospital food diet for a year. c #YaFeelMe Jr?" Charlie regularly sends Ashton public messages on Twitter, calling him "lame." Praising his former co-star Jon Cryer in a series of tweets last year, he wrote: "hey Jon!!! u r a GENIUS!!! I effin love and MISS YOU old pal! Q; who's your lame side-kik? c #NiceTryCanonBoy #CH (sic)"
He later added: "hey relax everyone! read the hash tag! oh and Jon I'm so sorry I insulted your sidekik I meant REALLY lame c (sic)"
In another attack on the former Punk'd star, he wrote: "hey Ashton sorry bro all good. now quit barfing on my old brilliant show. Remember Punk'd? how duz it feel? c harp (sic)"